This guest post is written by Julie Hall who is known as The Estate Lady. 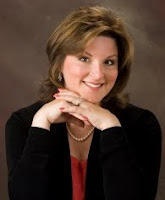 Julie is a professional estate liquidator and certified personal property appraiser. http://www.theestatelady.com. She has authored a best-selling book titled "THE BOOMER BURDEN: How to Deal With Your Parents' Lifetime Accumulation of Stuff", currently available on Amazon.com. Julie writes a weekly blog which is available at http://estatelady.wordpress.com, called The Estate Lady Speaks. Exploitation can raise its ugly head in the midst of unsuspecting situations. Such was the case with the Garvey family (not real name). Mom and Dad Garvey were about the nicest people you'd ever wish to meet. Their three adult children lived nearby; they loved to have all the grandchildren over for Sunday dinners. All of the children were successful, and the family often took vacations together. As Mom Garvey shared with me, she could not recall one moment of discord between her kids. Dad Garvey was diagnosed with cancer at age 73, and the disease progressed rapidly. He had lived a good life, and faced his illness with grace and courage. Even as his strength waned, he loved having his family visit. But soon death was imminent and hospice was called in to assist him and his family. That's when strange things began to happen. One of his daughters became uncharacteristically possessive. She wanted to be at Dad's bedside around the clock. Normally a sweet and accommodating person, she would snap at her mother over the smallest thing. She accused her siblings of not caring enough for their dad, even as she tried to prevent them from being with him during his final days. Eventually Dad Garvey passed away, with his wife and children at his bedside. But as the funeral director's hearse pulled up to take the body to the funeral home, the same daughter disappeared into the basement, while the others comforted one another in their grief. It was a few days later that they discovered what the daughter had been doing. Apparently, while she was keeping vigil by her father's bedside, she was also surveying his belongings. When he died, she quickly grabbed the things she had stashed in the final couple weeks of his life. Mysteriously, even though Dad Garvey had prepared a will, it was never found. This is a scary story, no doubt. But imagine, for just a moment, how different this story would have gone if the parents had given serious consideration to dividing their estate prior to infirmity or death. At the very least, they should have distributed a master list of what they wanted each child or heir to have, making sure that each child received a copy. The will should have been given to the executor or another trusted professional, so it would have been available upon death. If every child knows the plan in advance, it will be much harder for one child to take the lion's share. Unfortunately, this scenario occurs every single day, because no one planned ahead! 2. What prompted you to choose a paralegal career? My interest in law and history and the availability of a Bachelor of Arts degree through University of Central Florida. 3. What is your favorite part of your job? Finding the needle in the haystack to help my boss achieve the desired result for our client. Also when a client is truly grateful for the work done on their behalf. 4. What professional associations do you belong to? NALA, Paralegal Association of Florida, Inc. (PAF), Brevard Paralegal Association (BPA), and as a Paralegal member of Florida Bar Association and Florida Justice Association. 5. How has your membership benefited you? Education, education, education and networking, networking, networking! It's both what you know and who you know!! 6. Do you have any professional certifications? Yes, Florida Registered Paralegal (FRP) designation through Florida Bar Association. 7. What has been the highlight of your career? Acting as President of Brevard Paralegal Association (our local chapter under Paralegal Association of Florida). Our association has a membership of approximately 60 paralegals and has worked hard to be a significant member of Brevard's legal community. It was a great opportunity for me to meet so many members of our legal community. But the best part was meeting and interacting with my fellow paralegals and being their representative at the local and state level. 8. What do you see as hot trends in the paralegal industry? Definitely, I think the use of a virtual/f'reelance paralegal. Even in my small community, we have a few individuals who have thrived as f'reelance paralegals for the last few years. Also the use of social media as a research tool as an exchange for information and as a tool for mentoring. 9. Have you dipped your toes in the social media waters? Yes, I have joined LinkedIn, Twitter and Facebook. LinkedIn and Twitter were for the networking during recent job searches. My Facebook account is mainly for friends and family but I do remember that it is searchable by prospective contacts and employers. Plus, all of these resources are great search engines to find out information for on your clients and opposing parties. 10. If someone contemplating a paralegal career asked you for career advice, what would your answer be? Continue to think of your career as ever evolving and don't be satisfied with the status quo. It can only get you in trouble. As someone who does not like change, I've had to embrace change and uncertainty in recent years and if I had taken the above advice to heart, it might not have quite as painful. 12. You've enjoyed a successful paralegal career. To what single event or person do you attribute that success? I don't know that I can point to one single event/person. I've been very lucky to have had great mentors and peers to look to for guidance and inspiration. Also I spent several years working for a successful firm that allowed me to take an active, and sometimes a guiding, role in the firm's representation in interesting and complex litigation. 13. What is the most important step a paralegal can take to keep his or her career interesting? Keep learning, take those continuing legal education courses and seminars. Bonus...Just for Fun Fact: I love art and music and would love to work at a museum, maybe the Rock & Roll Hall of Fame, in my next life! In the meantime, I volunteer at Brevard Art Museum on weekends. Also I love going to rock concerts and have traveled far and wide to see my favorite bands, U2 and Police. 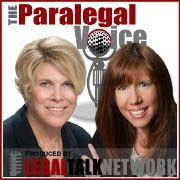 The latest episode of The Paralegal Voice, “Practice Management and Ethics Issues, Plus Choosing a Litigation Support Vendor,” co-hosted by Lynne DeVenny and me, is now available at Legal Talk Network. The first part of this episode episode features attorney Beverly Michaelis, Practice Management Advisor for the Oregon State Bar’s Professional Liability Fund, who discusses practice management, technology and current ethics issues for paralegals. She is followed by Shawn Siek, Vice President of ESI Business Development at Teris, who talks about what to look for, and how to hire, a litigation support vendor. The Paralegal Voice also thanks its sponsors: Teris, West Deposition Services, Clio and NALA, The Association for Legal Assistants/Paralegals. If you like The Paralegal Voice, please share the link with your friends and colleagues. Do you have a request for a future show topic or a question for the hosts? Please send it to TheParalegalVoice@gmail.com. The High Road is the path to leadership success. What is The High Road? Where do you find it? The High Road is a leadership style that includes doing what is best for all of your members, always staying above the fray and never stooping to someone else's lower level. If you're on The High Road, you will handle sticky situations in a kind and ethical manner, not with retaliation and revenge. Understand your organization's goals and values. If you take The High Road, you must have a clear understanding of the goals of your association. What is its mission? What is its long range plan for the next five or ten years? What are the needs and wants of your members? As a leader, you must focus on these goals and values. Don't lose your focus and start chasing the goals of another organization. What they're doing is not your concern. Your job is to steer your association toward its own goals and meet your members' needs. Don't waste your time and energy worrying about what other associations are doing. On The High Road, all of your time and energy should be focused on your own association. Every association is different and chooses a different path for delivery of programs and services to its members. So long as you are meeting the needs of your members to the best of your association's abilities, within its budget and according to industry standards, you are doing your job. Learn how to handle criticism. Every leader will be criticized at some point. When you're on The High Road, you will listen carefully. Is it deserved? Does the person doing the criticizing have all the facts and background information? Give this careful thought. Weigh it. Leaders should have more information than anyone else about any particular situation...or should get it. This information is used to make the best decisions for all members. If the criticism warrants change, make the changes. If not, stay on your path. Do the right thing. Leaders taking The High Road will set a good example and have the highest moral ethics. Remember that leaders are in the spotlight most of the time. They rise above gossip and petty behavior. While it may be difficult to do the right thing under pressure...leaders are human do want to please their members!...it's imperative that a leader handle pressure situations with class and dignity. Don't be drawn into insignificant and pointless arguments. When someone pushes your buttons, your first inclination will be to push right back, to retaliate. A leader traveling The High Road won't escalate this situation with a negative response. You can't please 100% of the people 100% of the time. Your goal should be to do what is best for the whole. My leadership experience has taught me that it's not always easy to take The High Road but it's something every leader should strive for. Taking The High Road requires confidence in your own abilities to lead, as well as confidence in the direction your association is taking. If you stay the course and follow The High Road you will achieve the best results for your members and your association during your term in office. Do you plan to travel The High Road? Dr. Seuss is my favorite philosopher. I find inspiration in his whimsical words of wisdom, particularly those in his book, Oh! The Places You'll Go where there is a message for everyone, regardless of age. This, of course, applies to paralegals. We all travel down an unknown career path that begins with our education, continues with our work, and then is capped with all of the extras we add along the way...such as certifications, association involvement, speeches, articles, teaching, honors, and awards. None of us knows the sights we will see or the heights we will reach, but we need to keep track of the road we take so that at the end of any given day we will be able to measure our achievements. I learned this when I was asked to be an expert witness in a legal malpractice case. The lawsuit alleged a paralegal employed by a law firm acted outside the scope of her authority. The key issue was the unauthorized practice of law.Me? An Expert? I knew I possessed the required expertise but yikes! I had to submit a curriculum vitae (or 'CV' as it is customarily truncated) to demonstrate my professional qualifications and my knowledge. Oh, dear...I did not have a CV! During the course of my career I have asked for dozens of CVs from potential expert witnesses, but never in my wildest dreams did I think I would ever have a need for one myself. I had the trusty (if rusty and dusty) résumé ready 'just in case' I ever decided to look for another job. Since the same law firm has employed me for more than 25 years, you can imagine that the résumé was reasonably up to date but had not been used often. Trouble is, a resume is not a curriculum vitae. A résumé is a one or two-page summary of skills, experience and education. It is intended as a concise opportunity to capture a prospective employer's attention...a prospective employer who, statistically, will spend less than a minute reviewing it. Curriculum vitae' is a Latin term meaning 'course of life' or 'a running life'. Contrary to widely held opinion, it does not translate to 'padding your résumé'. A CV is a longer, more detailed, and more complete summary of a person's education and work history. It includes teaching and research experience, grants and fellowships, accreditation, publications, presentations, awards, honors, affiliations, offices held, and other details. The threads of my professional life were scattered hither and yon. Notes were scribbled on dozens of legal pads and crammed in haphazardly labeled files along with newspaper clippings, copies of speeches and articles, flyers from seminars, and back issues of Facts & Findings and other professional journals. And, of course, I had many wonderful memories. The result was a CV that surprised even me! There it was in black and white...everything I had done, the places I had been, and the people I had met. 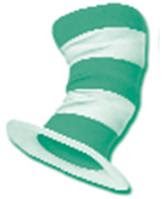 Dr. Seuss was right: I had soared to high heights and my CV offered proof that I knew what I knew. My CV began with a professional profile followed by details of my education and work experience. Next came professional involvement in associations on the state and national level (my service to NALA looked very good there), honors, and awards. Then came the long lists of published articles and presentations that more than demonstrated my knowledge of ethics issues for legal professionals. Absolutely no personal information is presented in the CV. There are no photographs, no salary history, and no references. The fact that my favorite pastimes are running and reading legal mysteries is not there. My ability to bake a cake that will knock your socks off is not mentioned. None of that speaks to my level of knowledge and expertise. We forget where we've gone! You should begin the creation of your own curriculum vitae this very instant before you forget where you have gone. I can assure you that a nostalgic journey through 30 years of files is not fun. You can spare yourself this pain by taking a few simple steps. First, keep copies of absolutely everything. This includes newspaper clippings, articles, pictures, notes, awards, honors, certificates, seminar flyers, etc. Put these in just a few files that have very general labels (e.g., "Articles", "Speeches", "Awards" etc.). Do not use too much detail or locating what you are looking for may become difficult. Next, begin writing your own CV. I will not presume to tell you how to write it. There are many formats available on the Internet. You must, of course, represent your achievements honestly and accurately. Then, after your CV is written, keep it current. In the computer age, this is almost effortless. Every time you do something, such as giving a speech or writing an article, add it to your CV. My experience is a perfect example that it is never too late (or too early) to start your CV. You never know when you will be asked to document your expertise, so be sure to record your career journey with your curriculum vitae. Even if another soul never looks at it, your curriculum vitae is like a road map of where your career has taken you, and where you might be going. Guest Article: I Can't Find Our Client! Note: Today's Guest Author is Beverly Michaelis, JD. I have become acquainted with Beverly through social networking venues LinkedIn and Twitter. She received a B.S. degree from Portland State University in 1982 and a J.D. from the Northwestern School of Law at Lewis & Clark College in 1986. She is a member of the Oregon State Bar, Oregon Trial Lawyers Association, and American Bar Association with over 25 years' experience in the legal field as a lawyer and legal assistant. To access her blog, follow this link. The odds are that sometime during the course of your career you will be unable to locate one of your clients. Often, this happens at a crucial point during representation, such as on the eve of trial or when a statute is about to run. Look for red flags. Clients who move frequently, change jobs often, or have no friends or family in the community are likely to fall out of touch. Listen to your intuition. If your gut says this is the wrong case for you, turn it down. Don't be swayed by pressure from a friend, the amount of fees involved, or the promise of a quick resolution. Such cases are rarely worth the trouble and often result in malpractice claims which could have been avoided. Use client intake forms which prompt you to collect names, addresses, telephone numbers, e-mail addresses, and relationships of at least two people who will always know where your client can be reached. Get additional names and contact information if the situation warrants. Stress to clients the importance of keeping in touch with your office at all times. Some law offices add language to their fee agreement or engagement letters giving the responsible attorney the right to withdraw if the client fails to cooperate in the client's case. This can include requiring the client to keep a current address and telephone number on file with the lawyer's office at all times. Take extra precautions with impaired clients. One solution may be to learn the names and numbers of the other professionals with whom your client has regular contact. (Case workers, social workers, psychologists, and physicians are examples.) Get your client's authorization to establish and maintain contact with these professionals. If it's too late and your client has already disappeared, conduct as thorough a search as possible. Working from the information on your intake sheet, call the client's workplace and emergency contacts. Visit your client's last known address and talk to the neighbors. Do a DMV search. Run a skip trace. Use the Internet. Apply the same level of diligence in searching for your client as you would in locating and serving the opposing party in your case. If your firm is facing a time limit or hearing date and can't locate your client, call your firm's malpractice carrier and ask to speak with one of their on-call claims attorneys. They can guide you on how to proceed. Your state bar association should also be able to offer some guidance. To locate the bar association in your state, follow this link. Beverly Michaelis received a B.S. degree from Portland State University in 1982 and a J.D. from the Northwestern School of Law at Lewis & Clark College in 1986. She is a member of the Oregon State Bar, Oregon Trial Lawyers Association, and American Bar Association with over 25 years' experience in the legal field as a lawyer and legal assistant. Ms. Michaelis practiced with a personal injury firm in Portland and provided pro bono legal services through the Volunteer Lawyers Project for over 8 years. Before joining the Professional Liability Fund as a Practice Management Advisor in May 1996, she was Placement Director and Associate Executive Director of the Multnomah Bar Association for 8 years. She is a frequent speaker on a variety of practice management, technology, and malpractice avoidance topics for the Professional Liability Fund, Oregon State Bar, law-related associations, and Oregon law schools. She is a contributing author to The Ethical Oregon Lawyer, published by the Oregon State Bar and A Guide to Setting Up and Running Your Law Office, Planning Ahead: A Guide to Protecting Your Clients' Interests in the Event of Your Disability or Death, and A Guide to Setting Up and Using Your Lawyer Trust Account published by the Oregon State Bar Professional Liability Fund. She is also a regular contributor of articles to the Oregon State Bar Bulletin, In Brief, and other publications. Ms. Michaelis posts practice management tips for legal professionals at the Oregon Law Practice Management Blog. On December 9, 2009, at Orange County Paralegal Association's Holiday Party, Dennis Nakata received the association's 2009 Lifetime Achievement Award. This award was created by OCPA in 2001 to recognize outstanding contributions to the paralegal profession. 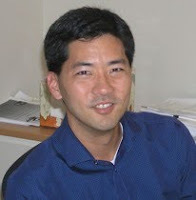 Dennis Nakata is an instructor in the Paralegal Certificate program at UC Irvine Extension where he teaches Fundamentals of Legal Assistantship, Ethics, and Civil Litigation II. Dennis is also active in OCPA, a member of the Orange County Docketing Association and teaches courses to the local legal secretaries association on proper calendaring. With over 10 years experience as a paralegal, he is currently employed in the Public Law Department at Rutan & Tucker LLP in Costa Mesa, CA. Past recipients of this prestigious award include paralegals Jill Young Patchin, Deborah Ebert CLA, Carolyn Yellis ACP, Dee Nadalin, paralegal instructors Chris Garber and Kathy Miller ACP, CAS, Margaret Lovig, and former California legislator Marilyn Brewer. 1. Where do you work and what is your job title? I am a Corporate and Securities Paralegal in Seattle, Washington. 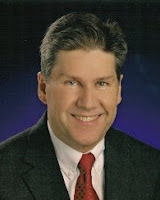 I have been in the legal profession for nearly 25 years, serving in the Corporate Legal departments of several leading public companies such as Starbucks Coffee Company, Expedia.com, InfoSpace.com, Mosaix (acquired by Avaya Communications), Litton Industries (acquired by Northrop Grumman). I was previously employed as a paralegal with the law firms of Lane Powell PC and Williams Kastner PLLC in Seattle, and also as the firms of Irell and Manella and Jones Day Reavis & Pogue in Los Angeles. 2. What prompted you to choose a paralegal career? While finishing my Bachelor's degree at California State University, Northridge, I joined a Southern California law firm as part of their legal support staff, opening files and performing general office services duties. I joined a second law firm a couple of years later as part of their law library team where I honed my skills as an online researcher, cite checker, patent prior art investigator and more. Those research skills transferred to an in-house corporate and law library position where I performed competitor intelligence gathering and monitored our peer companies for possible merger or acquisition candidates, being promoted to Assistant Corporate and Law Librarian. The Corporate Secretary took notice of my range of skills and offered me a position as a Corporate Paralegal. I then obtained my paralegal certificate, with a Corporations specialization, in an ABA approved program. 3. What is your favorite part of your job? Like many experienced paralegals, I think that the combination of having a high degree of responsibility along with a good amount of independent self-direction is a great motivator to doing your personal best. I have long enjoyed Corporate and Securities work as it is a very high profile practice area for most companies where you get to deal directly with the senior management and boards of directors. Additionally, many corporate paralegals are among the first people in their organizations to learn about major company events (possible acquisitions and divestitures, management changes, financial reporting and other material news) that may need to be reported publicly to the SEC on an 8-K, 10-K, or 10-Q, but such information must be kept strictly confidential (even from your fellow law department members) until it is publicly reported. 4. What professional associations do you belong to? I am a 16 year member of the Washington State Paralegal Association (WSPA) and am currently serving my second term as President of that association. I am also a member of the National Federation of Paralegal Associations (NFPA), and the National Association of Stock Plan Professionals (NASPP). I also serve as a Community Advisory Board Member of the Edmonds Community College paralegal program, located a few miles north of Seattle. 5. How has your membership benefited you? I have been blessed to have met paralegals from all across the country. In my role as a representative of WSPA, I have spoken before paralegal student audiences at several local paralegal schools. My supervising attorneys frequently call on me for my input on continuing education and career development opportunities for my fellow paralegals. 6. Do you have any professional certifications? I passed the NFPA Paralegal Advanced Competency Exam and became a PACE Registered Paralegal in March, 2009. 7. What has been the highlight of your career? It is hard to pick out a single highlight so I will let your readers decide from a few milestones that are top of mind to me. In 2007 I was selected to be an Advisor to the Association of Corporate Counsel's inaugural Paralegal Education track at "Corporate Counsel University" and help design some of the suggested courses. I was then invited to speak on two panels at CCU held in St. Louis, and invited back as a panelist at the 2008 conference held in San Francisco. I was honored to present the morning Keynote address at one of Chere Estrin's Paralegal Super Conferences held in Atlanta in 2008 before a large audience. I was also humbled by being also profiled in Delmar/Cengage Learning's Paralegal textbook "The Law of Corporations, and Other Business Organizations", 5th ed., published in early 2009. At the NFPA Annual Meeting in Portland, Oregon held in October 2009, I was honored to accept an award on behalf of WSPA as the local paralegal association that had passed the most PACE Registered Paralegals during 2009. This was recognition of both the success exhibited by our local paralegal association as well as the hard work of several contributors including our state PACE Ambassador, Laura Jordan. 8. What do you see as hot trends in the paralegal industry? With somewhat mixed feelings, it appears that Bankruptcy work will continue to grow faster than other legal specialties well into 2010 as the US and the rest of the world gradually come out of the recession. On the West Coast at least, Intellectual Property work has stayed relatively strong even through the economic downturn. Electronic discovery is growing in importance, even for those paralegals not working directly in litigation. With more and more routine communications being done by email, instant messaging, and social media, it will be interesting to see how both contract law and employment law will be affected by changing practices. It certainly will be difficult to place a document hold or discovery request on someone's personal Instant Messages that are not sent across a company network! 9. Have you dipped your toes in the social media waters? Yes, I have long been a proponent of having a strong "Personal Brand" on the professional networking site, LinkedIn. You are only holding yourself back from future opportunities if you have a limited (or perhaps no) presence on the web. 10. If someone contemplating a paralegal career asked you for career advice, what would your answer be? Join your local paralegal association and take an active role in making it a success! Recognize that your first paralegal position is not likely going to be your "dream job" and that you can learn something from every position that you hold, even if doesn't seem like it at the time. Give some serious thought as to what specialty area you already have strengths or an interest in, and don't just accept any job because it is a paycheck. You will find that after working 3 -5 years in one specialty area will pretty much lock you into always working in that same area, as a shift to a new specialty would mean taking a step backwards. 11. Is there a quote that inspires you? Yes. I believe that small actions become habits, and eventually shape what you will become as a person. A quote that has long inspired me is "How am I going to live today in order to create the tomorrow I'm committed to?" - Tony Robbins. 12. You've enjoyed a successful paralegal career. To what single event or person do you attribute that success? I've worked with some extremely bright and energetic attorneys and paralegals. It is hard to point to a single one as the source of my success. I think that continually being challenged to do better, setting high standards, and being recognized for your contributions has been personally satisfying for me. Helping lift others up is very important to me personally. Good managers understand the concept of Servant Leadership as espoused by Robert Greenleaf, and know that in order for them to be successful, they must first make sure that other people's needs are being served. That is, while being served do those served grow as persons? Do they become healthier, wiser, more free, more autonomous, more likely themselves to become servants? 13. What is the most important step a paralegal can take to keep his or her career interesting? Keep an inquisitive mind. Don't be afraid to try new things even if that means occasionally being willing to fail in order to learn from your own mistakes. Remember that the difference between a .200 hitter playing in Double AA minor league baseball and a .300 hitter that is playing in the Major Leagues is that in ten at bats, the .300 hitter strikes out one less time! Bonus...Just for Fun Fact: Soccer has been a central focus for my family for many years. All three of my children play or played Premier (year-around) Club soccer and High School soccer too. Youth tournaments have taken us to Sweden, Finland, France and Spain and made lifelong friends for kids and parents alike. While soccer was not a part of my own youth sports experience (I was on track and cross country teams), through my children's many experiences, the sport has led to their increased self confidence and many friendships that would never have happened had we not traveled down that road. So too, participation in professional associations like NFPA and WSPA had led to many great friendships that I would not otherwise have had the pleasure to make! I graduated from a paralegal program, why should I sit for a certification exam? I have a paralegal certificate from a university, doesn't that make me 'certified'? I have a good job and several years of experience, how will being certified make a difference? What will those letters after my name really do for me? Having a certificate does not mean you are certified. A certificate is issued upon completion of an educational program, at which time you are certificated. Certification involves passing an examination established by a sponsoring organization that usually has specific requirements of education and experience for persons taking the exam. Upon completion of the examination, you are certified. I am certainly not minimizing the importance of completing a paralegal program and obtaining your certificate or your degree. In fact, I view paralegal education as essential. I am merely pointing out that there is an additional step you can take that will increase your professional profile. That step is certification. Credential = credibility. Certification is a voluntary process and is not a prerequisite for paralegal employment. However, certification gives you credibility. It demonstrates that you have the knowledge base and the skill required to pass the examination. It may also make you more marketable and may increase your income potential. Certification takes you off the level playing field. Graduation from a paralegal program (and, thus, being certificated) is the primary avenue by which people enter the paralegal profession. If everyone has a certificate, how is a potential employer to judge the best candidate for the job? Think about it, two paralegals standing side by side with the same certificate from the same school and the same amount of experience. How can one be distinguished from the other? The answer is certification. The certified paralegal demonstrates that he or she is a multi-skilled professional with diverse knowledge and effective communication skills. Certification gives paralegals an avenue for self-regulation. The issue of licensure for paralegals is old news...it's been discussed to the nth degree for more than a quarter century. Paralegals work under the supervision of a licensed attorney and do not provide their services directly to the public. For this reason, they do not need to be licensed. Also, licensure says a person is 'qualified' to do work. It does not demonstrate advanced knowledge and skills. An example is a hair dresser (and I have the highest regard for my hair dresser, believe me!). Hair dressers are allowed to enter the profession when they are licensed by a state agency. The license does not say they have fantastic skills, it only says that they can perform the services. The certification credential is awarded to people who prove their advanced knowledge and skills by meeting the standards of the credentialing organization. Certification will do much for you personally. Ask anyone who has a credential and they will tell you that the achievement made them walk a little taller, made them feel stronger professionally, gave them incredible personal satisfaction and increased their level of professional confidence. They set a goal and they achieved it. They took a risk and they survived it. They have the credibility that the credential provides. They literally stand out above the crowd. Their accomplishment gave them great pride. You, too, can have all that with professional certification. One more benefit you will reap from the certification exam is the learning that takes place in the preparation for the examination. Even the most experienced paralegal will learn something new and benefit from the intense review. Also, you will usually be required to participate in continuing education programs to maintain your certification. This requirement will help you keep up to date with changes in the profession and in the legal arena. Further, the credentialing organization will usually set high ethical standards for those using the credential. Unethical behavior will result in the loss of the credential. Certification may give you a 'leg up' when you're searching for a job. In today's economy, you need all the ammunition you can muster to prove that you are the person for the job. Having the certification credential behind you exhibits not only the advanced knowledge I mentioned earlier, it also shows discipline, ambition, motivation and willingness to accept a challenge. Which certification examination/credential is right for you? That's a personal decision. Many paralegal associations provide certification examinations (ie NALA, NFPA, NALS, and AAPI). There are also voluntary certification programs offered by some states...examples are North Carolina and Florida, but there are others. All have different structure and eligibility requirements, as well as different continuing education and re-certification requirements. What is important is that the credentialing organization you choose is a bona fide entity, that the exam is administered under rules and regulations in accordance with governmental acts and in accordance with such issues as anti-trust and fairness. It is essential that the organization agrees to keep applications and records confidential. It is crucial that the organization prepares an examination under the guidance of professional testing consultants, that the exam be continually reviewed for accuracy, and that it be updated on a regular basis. Usually the certification designation is a certification mark duly registered with the U.S. Patent and Trademark Office. Claims of certified status must be verifiable...in other words, if a paralegal claims to be certified, he or she must have the credential to prove it. The certification claim does not suggest any greater degree of professional qualification than reasonably may be inferred from an evaluation of the certification program's requirements. Of course, the credential cannot be used to mislead the public and represent something you are not. Decide which examination you will take. Take advantage of preparation and educational opportunities offered by the credentialing organization, as well as your professional association. For instance, NALA offers a three-day intense CLA review course, as well as CLA preparation courses at its convention. NALS ofers certification preparation courses as well. Your challenge: If you already have a professional credential, congratulations! If you don't, please put that at the top of your list. Follow the steps above and begin planning for the examination. You will never regret the time and effort it takes. You will always feel immense professional pride when you put those initials after your name!